UNITED NATIONS, Sep 24 2016 (IPS) - The looming threat of a world where even minor infections are deadly has led governments to commit to collective action against antibiotic resistance at the UN General Assembly earlier this week. However for many developing countries addressing this growing problem will also involve tackling much more fundamental development challenges such as access to toilets and vaccines. “In a country that lacks basic sanitation and has rudimentary health systems then the challenges are different,” Allan Coukell, Pew Charitable Trusts’ senior director for health programs told IPS. “Nevertheless there are important first steps that every country can take that are meaningful,” he added. These steps are outlined in the political declaration adopted by UN member states here Wednesday. They include commitments from governments to raise awareness about antimicrobial resistance and to better monitor the use of antibiotics in the health and farming sectors. The declaration builds on the Global Action Plan adopted by the World Health Organization in 2015, by expanding the global response beyond the health sector to also incorporate the UN Food and Agriculture Organization (FAO) and the World Organisation for Animal Health (OIE). “The first tool that you have to fight resistance is to prevent infection,” -- Judit Rius, MSF. “The first tool that you have to fight resistance is to prevent infection,” Judit Rius, U.S. manager and legal policy advisor for Médecins Sans Frontières (MSF)’s Access Campaign told IPS. While inappropriate overuse of antibiotics is fuelling the rise of antibiotic resistance, Rius also pointed out that lack of access to medicines, including vaccines and even in some cases appropriate antibiotics, also adds to the problem. For example, in the case of tuberculosis, which was responsible for 1.5 million deaths in 2014, lack of access to treatment in the early stages of the disease can lead to patients later developing multi drug-resistant tuberculosis which is much more difficult to treat, Rius told IPS. “The fast response is very important for the specific patient but also to stop the spread of that resistance to other patients,” she said. 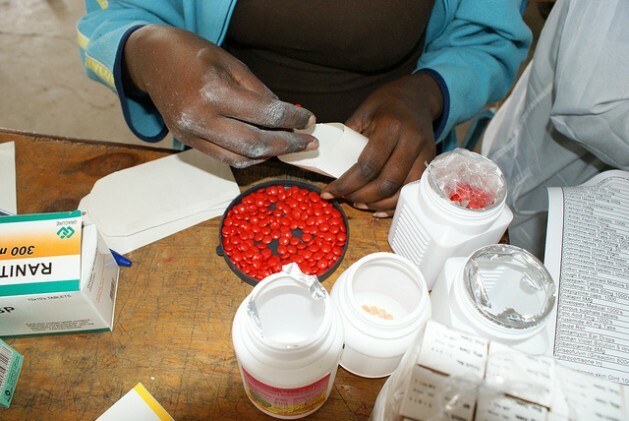 Many patients in developing countries cannot access existing medications which could help stop the spread of the much deadlier multi drug-resistant tuberculosis, she said, adding that MSF was pleased that the UN General Assembly resolution recognised the challenge of multi drug-resistant tuberculosis which mostly affects poor countries. While lack of access to appropriate medications is part of the problem, the rise in antibiotic resistance is primarily being driven by inappropriate use of lifesaving antibiotics in both the agricultural and health sectors. “The fundamental root cause is that we simply use antimicrobials at very high levels, we use it in agriculture and we use it in human health,”Keiji Fukuda, Special Representative of the Director-General for Antimicrobial Resistance, World Health Organization told IPS. “(The overuse) is being driven by a number of different causes but probably the most important one is that around the world most people don’t even know that this is an issue,” he added. Fukuda says that many patients are taking antibiotics when they are not needed because they inappropriately see them as a “magic medicine that is going to make them better” without any consequences. The overuse and misuse of antibiotics in meat and fish production is also responsible for driving the spread of antibiotic resistance. The United States will soon join European countries in banning the use of antibiotics as a growth promoter for livestock, however in many developing countries the use of antibiotics in animals remains unregulated. For example, in Chile, the use of antibiotics in salmon production is significantly higher than in Norway, which has taken steps to reduce antibiotic use in the industry in recent years. Stefan Larenas, President of Odecu, the Chilean Consumers’ Organisation told IPS that he believes that this is partly because consumer organisations in Chile and other developing countries are less powerful than in richer countries. “The global challenge is to stop the industry double standards, at least in the salmon industry,” he told IPS. He pointed out that the same companies operate in Norway and Chile but use vastly different amounts of antibiotics depending on the country’s regulations. However while the political declaration calls for more funds to be mobilised to help poorer countries implement their global action plans, no additional funds were allocated during the meeting. It is therefore unclear how developing countries will be able to address some of the broader development challenges such as access to plumbing and vaccines which lead to higher rates of infections driving an over-reliance on antibiotics.